I’ve been frozen these past weeks or so … I think I still am. I know there’s all that beautiful snow and winterscapes for a photo session, but I can’t move under all these layers and being cold ! This has to be the worst and coldest winter, since I’ve been here. And it’s not just here, but over most of the US as well. There’s a winter or ice storm every couple of days! And you know that freezing point temperature? That 32-degrees F or 0-degrees C mark? Well, guess what. Although we’re not having -25-degree days (so far), we haven’t reached that ‘freezing point’ temperature in a while either. Global warming is definitely in play here. How cold is it over here? Well, the water drips are still frozen. 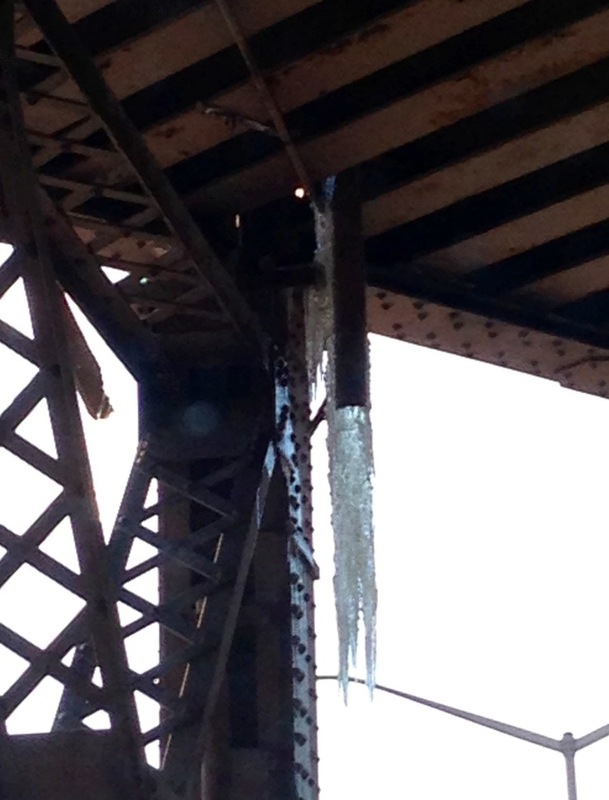 This is from some pipes underneath the overpass. 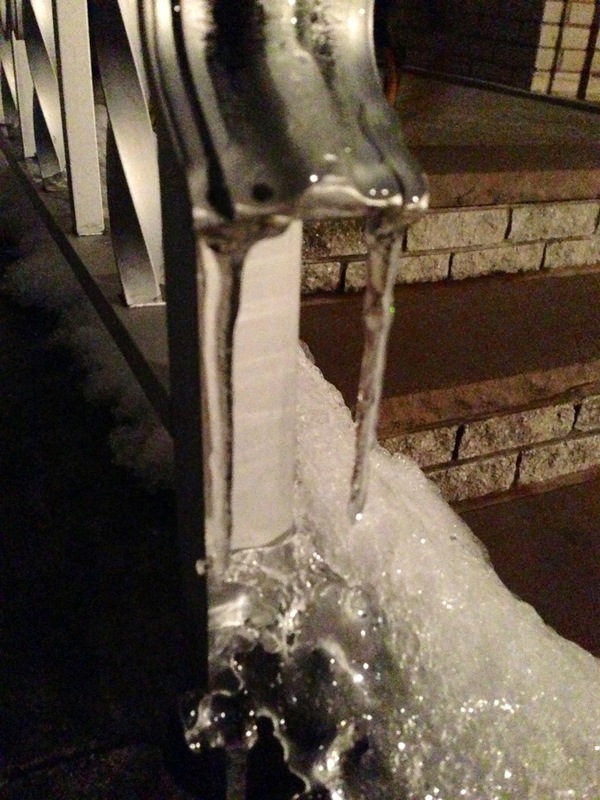 And these looked like ice fangs, out on the railing on the front steps.